The clue is pretty much in the title with this one: Biffy Clyro and Linkin Park have been confirmed as headliners for Sonisphere and Download festivals respectively. 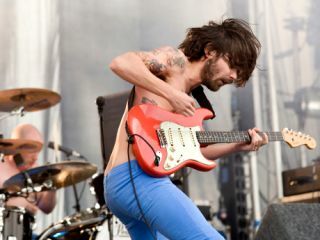 Biffy Clyro will take up one of Sonisphere 2011's top slots, alongside the recently announced return of Slipknot. Tickets go on sale this Friday (10 December), with pre-sale registration opening tomorrow (8 December). Meanwhile, Download has also announced its third headliner - Linkin Park. The nu metal survivors told press: "We are very excited to be playing Download again next year. It's one of the best festivals in the world and it's always an honour to play in front of such a great crowd. We can't wait!" The festival also announced sets from a newly reformed System Of A Down and Avenged Sevenfold last week. Planning on going to Sonisphere or Download? Let us know which one and why on Facebook and Twitter.